Perhaps the most beneficial outcome resulting from last night's loss of the Clinton Clan, whose "charitable" donations from generous donors such as Saudi Arabia to the Clinton Foundation just ended, is that with Hillary not in charge, the probability of World War III has been taken off the table. This was confirmed early this morning, When Russian President Vladimir Putin - whose relations with the US and Barack Obama have deteriorated to Cold War levels - congratulated Donald Trump for his election victory on Wednesday, and said he expected relations between the Kremlin and Washington to improve. 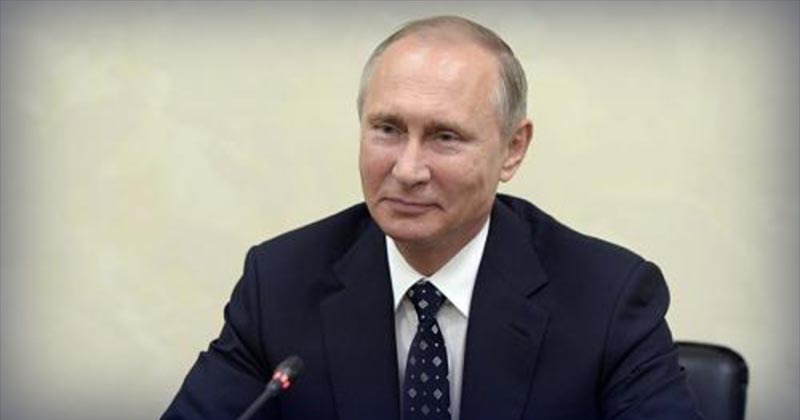 Additionally, speaking at the presentation ceremony of foreign ambassadors' letters of credentials in Moscow, President Putin said that Russia is ready and looks forward to restoring bilateral relations with the United States, Russian President Vladimir Putin said, commenting on the news of Donald Trump's victory in the US presidential election. He added that “we understand and are aware that it will be a difficult path in the light of the degradation in which, unfortunately, the relationship between Russia and the US are at the moment." Other Russian politicians joined in. “The current US-Russian relations cannot be called friendly. Hopefully, with the new US president a more constructive dialogue will be possible between our countries,” he said. “The Russian Parliament will welcome and support any steps in this direction,” Volodin added on Wednesday. Commenting on Donald Trump's victory in the US presidential election, Russian Foreign Minister Sergey Lavrov said Russia will judge the new US administration by its actions and take appropriate steps in response. “We are ready to work with any US leader elected by the US people,” the minister said on Wednesday. Sergey Zheleznyak, member of Russian President Vladimir Putin’s United Russia party in parliament, hailed Trump’s “deserved victory” in a statement on the party’s website.